A simple and inexpensive way to improve the curb appeal of your home is to update the look of your shutters with new shutter hardware including decorative straps, hinges and shutter dogs. Designers tell us shutters can make one of the most dramatic impacts on the appearance of the home. Conversely, a badly hung shutter can have the opposite effect and ruin the look of your home. 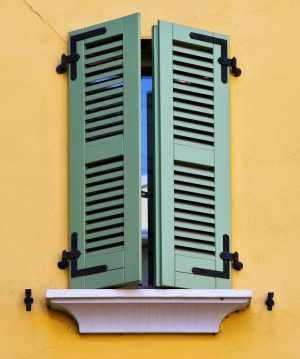 Exterior shutters were originally not only aesthetically pleasi ng, but provided many functions including privacy, security, and a layer of protection from weather. 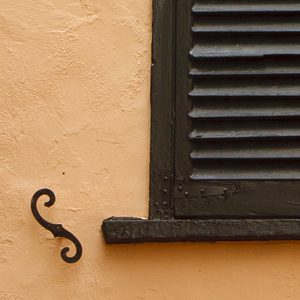 Today, most shutters are more decorative than functional. With the proper hardware, shutters can look like they are functional as well as decorative. 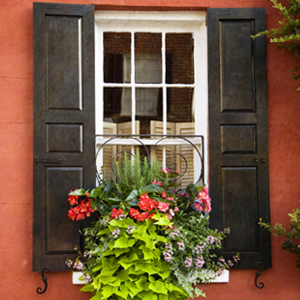 Decorative straps are most often used on doors, but also add a distinctive charm to shutters. They are made of iron or aluminum and come in many styles including Arrow, Fleur-de-Lis, Halberd, Warwick, Gothic, Bean End, Spear End, and more. From ornate to rustic, straps come in a style to suit your home’s style. Keep your shutters secured and add a finished look with new hinges. 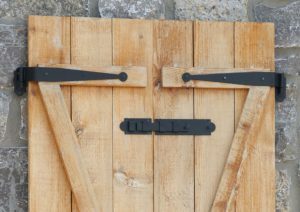 Popular styles includes H Hinges, L-shaped, HL Style, Connecticut Style, New York Style, Lift Off, and many more. Use hinges with a decorative strap for a stylish and finished look to your shutter. Shutter dogs come in many sizes, shapes, and styles and are a pretty and functional way to hold shutters open or closed. Shutter dogs have a through-hole and are mounted so that they can be rotated to move out of the way of the shutter when it opens. 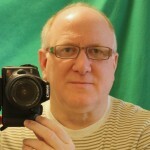 The dog is then rotated in front of the open shutter to keep it open. 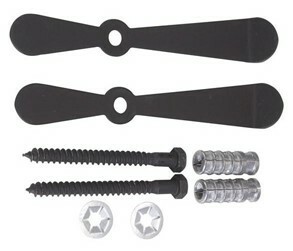 1 – Open the shutters all the way and hold the shutter dog and the lag bolt/screw that will hold it away from the house. Position the shutter dog against the house under the shutter. Ideally, it should be 4 inches in from the shutter’s outer edge and 1 inch below the bottom edge, but this can vary depending on the size of the shutter dog. 2 – While holding the bolt/screw up against the house, make sure it has enough contact with the shutter to hold it open. Then spin the shutter dog horizontally and check that the shutter can clear it to swing closed. 3 – Once you’re satisfied with the dog’s position, mark the fastener’s location. Drill a pilot hole at the mark and install. Van Dykes offers faux (imitation) hardware for use with non-functional shutters and for other decorative applications. Faux hardware provides a traditional look for decorative shutters for much less than functional hardware. Faux hinges and faux scroll shutter dogs are commonly used with vinyl or wood shutters and give the appearance of operational hardware, but are non-functioning.